In a changing world, the Gospel does not change. The Good News always remains the same. Our vocation to be its bearers and our responsibility are always current. “The core of the proclamation always remains the same: the Kerygma of Christ who died and rose for the world’s salvation, the Kerygma of God’s absolute and total love for every man and every woman” (Benedict XVI, Message for World Mission Day 2012). 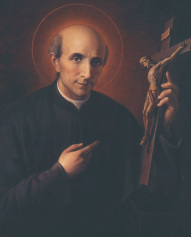 I ask myself, what do we, sons and daughters of St. Vincent Pallotti, need in this era of the New Evangelisation? Like everyone in the Church today, I need to re-examine, with courage and humility, my way of being an apostle, sent to evangelise, I need to understand the profound sense of insufficiency of my proclamation and my witness; otherwise, how can I explain the fact that so many people around me do not know God and live as if God did not exist? “God created human beings in time only in order to lead them happily to eternity. His desire is to see all of them saved, enlightened by his graces and by the exercise of his Providence. For this reason, St. Dionysiusthe Areopagite says that the most holy, most noble, most august, most divine work of all of the Divine, august, noble and holy works is to cooperate with the merciful plans, wishes and desires of God for the salvation of human beings” (OOCC IV, 124). At some point in the past, each one of us met Jesus, each one replied with love and courage, ‘Yes, send me’, to his invitation, ‘Follow me’. Each person lives out in their own state of life as mother, father, sister, brother, priest, young, sick etc., day after day, their being an apostle, sent by Jesus. All of us have the same desire, implanted in our hearts by our Creator, to be happy. As good Christians, we must desire the same happiness also for our brothers and sisters. We find the fullness of our happiness in Jesus Christ who is our Way, our Truth and our Life. But if we open our hearts and minds to the fire of the Holy Spirit who acted in the life and missionary activity of the first apostles, of St. Paul, of the saints of all times, including our holy Founder, we can experience unexpected change. Like the disciples of Emmaus, like the disciples who left the Cenacle after Pentecost transformed from simple chroniclers into passionate witnesses of the Risen One, from frightened apostles into courageous bearers of the Gospel to the very ends of the earth. 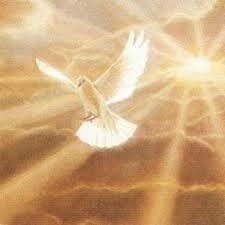 It is the Holy Spirit who impels us to proclaim the great works of God. I really find the need to be changed into an ardent witness of the Risen Jesus from whom life springs for me and for the whole world. Not to be simply a chronicler of facts, of events immortalised in the pages of the Gospel, but to believe strongly in the extraordinary power, and feel the life, which the Gospel possesses. The most difficult thing today for each of us, for every Christian, I think, is to take seriously the Gospel which we have in our hands, to try to translate into practise what Jesus says to us about simplicity of spirit. But this is precisely what is being asked of us with great insistence in today. The Good News of the Gospel is always the love of God for each human person; we are expected to give concrete form to this message and it is only then that those close to us will be able to understand the message of love and hope. A “theology of the face”, meaning meeting and welcoming the other in a personalised way, seems more relevant and necessary. It is very much needed today in human relationships. The most effective way to share the Good News with others is to communicate it heart to heart. Every person wants to feel themselves to be worthy of our attention, our interest, our love, and many want to see in us people of God. The original article was posted by Catholic Apostolate Center on April 11, 2013 and was re-posted with permission.